There is no doubt that the beaches in Cancun and Puerto Vallarta (PV) are some of the most beautiful and most popular beaches in Mexico but what else is out there besides Cancun and PV? 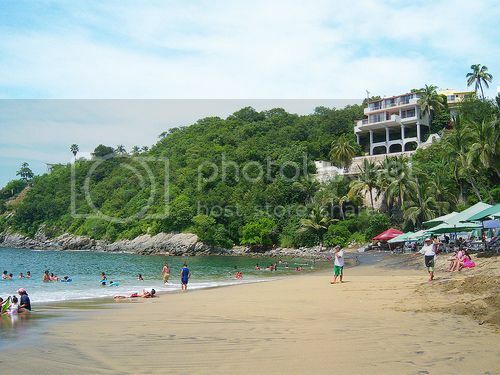 Playa la Audiencia is one of the most popular beaches in Manzanillo for families and one of the best beach spots along Mexico’s Pacific coast for a quite retreat. Playa la Audiencia is a stunning little beach with a golden shoreline which overlooks the bay and offers great conditions for swimming, snorkeling, and other cool water sports such as jet-skiing and kayaking. If you’re a snorkeling enthusiast, you’ll definitely love spending time in Playa la Audiencia since its waters are shallow, calm and filled with rocks covered with corals. Playa Brujas is probably one of the best surfing spots in Mazatlan and one of Mexico’s most underrated beaches. Playa Brujas is located 20 minutes drive from the heart of Mazatlan and it’s a popular spot among local surfers who consider Play Brujas a hidden gem because it boasts decent waves all year-round. If you’re a kin surfer looking to hit some waves along the west coast of Mexico, you’ll find Playa Brujas a very good spot to visit since Brujas boasts decent waves all year-round (particularly in the spring and autumn). North beach is one of the nicest beaches in Isla Mujeres and it’s one of Mexico’s finest beaches in the Yucatan Peninsula. 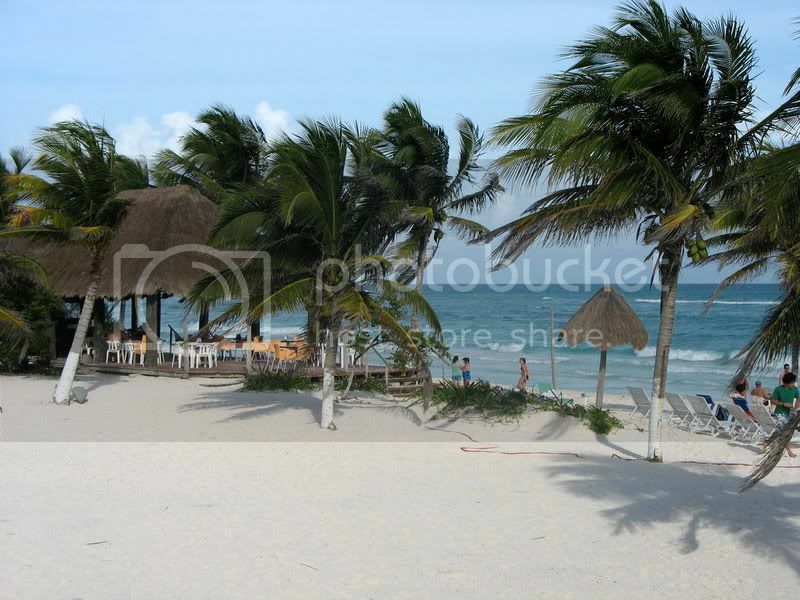 North Beach boasts a nice stretch of beach with white-powdery sand and warm turquoise waters. The best bit about North Beach besides its secluded location is that the beach is just minutes away (by boat) from Cancun so, you’re never too far from Cancun’s tourist attractions such as Wet n’ Wild waterpark, and Xplor Eco Park where you can enjoy caving adventures and zip-line rides. Xpu Ha Beach is located roughly between Tulum and Playa del Carmen and it's one of Mexico's most underrated beaches. Xpu Ha is located along the stunning Riviera Maya and unlike other beaches along the Mexican Riviera Xpu Ha beach boasts a subtle beach club atmosphere. Xpu Ha Beach isn’t as busy as Mamita’s beach club but it still boasts cool beach clubs, a rental shop, an all-inclusive hotel (Catalonia Royal Tulum), which is great if you're looking for inexpensive all inclusive packages in Mexico. Santa Maria Beach is easily one of Mexico’s nicest winter destinations you can go for a beach getaway from the US. Vacation Rentals vs Hotels: which is better? 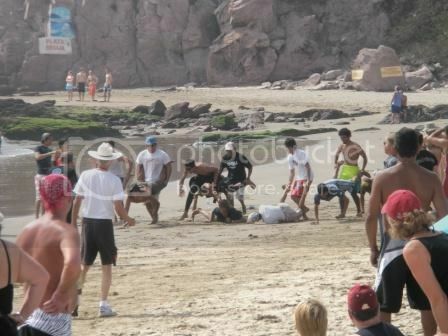 Santa Maria beach is located about a mile east of downtown Cabo so, it gets fewer crowds than the more popular party beach of Medano, which is located right in Cabo. In all, Playa Santa Maria also boasts great snorkeling spots and offers a nice opportunity for a quite retreat from the crowds of Cabo. Bonfil Beach is another beautiful beach destination in Mexico, which oozes with charisma and doesn't draw hordes of crowds. 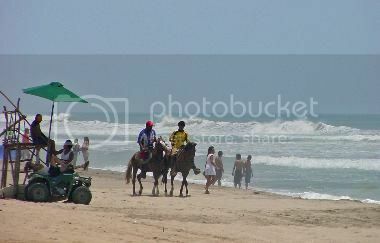 Bonfil is easily one of the best surfing spots in Acapulco because of the strong and fast winds off-shore, though Bonfil beach is also a nice spot for relaxing under the sun, walking and horseback riding. Bonfil beach is fairly hidden from the tourist trail, which is why its "underrated status". Saying this, you can't miss Bonfil beach since it’s located next door to Acapulco’s airport (Alvarez International Airport).